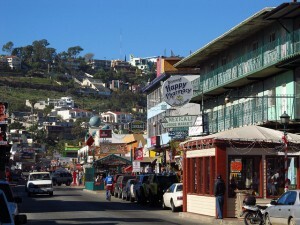 It’s important to get the right perspective of cost as you research Mexico insurance policy at MexicanInsuranceStore.com. Although you might be interested in ways to save, you need to realize that those perceived savings can create problems later on. Buying car insurance for Mexico from MexicanInsuranceStore.com isn’t just an annoying expense. If you get into a wreck across the border, quality Mexican insurance policy at MexicanInsuranceStore.com can save you a lot of money and stress. Opting for a low-cost policy with a questionable provider may allow you to think that you are ready to travel. However, selecting coverage with rates that are too low can leave you in a problematic situation if you get into an accident. Take time to review the options for limits when purchasing car insurance for Mexico from MexicanInsuranceStore.com. You may be surprised to discover that inexpensive Mexico insurance policy at MexicanInsuranceStore.com is insufficient for your travel plans. Mexico insurance policy at MexicanInsuranceStore.com is required! Baja, for example, is a popular destination for those living in the Inland Empire of California. A $50,000 policy of liability only car insurance for Mexico from MexicanInsuranceStore.com may seem cheap in price, but creates problems under the following scenarios. Fatal accident – if you are deemed responsible for a fatality, you are going to fall significantly short of the death benefit owed in Baja. Baja Norte’s benefit to a decedent’s survivors is more than $150,00, and Baja del Sur’s benefit exceeds $300,000. Your Mexico insurance policy at MexicanInsuranceStore.com needs to match your travel plans by including liability limits consistent with the area’s death benefits. Property damage – choosing a low-cost liability-only policy will leave you responsible for all repair and replacement costs for your own vehicle. Medical costs – while your car insurance for Mexico from MexicanInsuranceStore.com will provide for some medical costs for you and your passengers in case of an accident with an uninsured motorist, you may want to opt for full coverage Mexico insurance policy at MexicanInsuranceStore.com with greater benefits. It’s important to remember that when you buy car insurance for Mexico from MexicanInsuranceStore.com, you are free to decide on the coverage needed without being pressured by a sales agent. However, you can always call if you need clarification about your limits or type of coverage. Mexico insurance policy at MexicanInsuranceStore.com can be purchased on your computer, laptop, tablet or smartphone! Mexico insurance policy at MexicanInsuranceStore.com. Finding the cheapest car insurance policy isn’t normally a great idea because without quality Mexican auto insurance cover you could end up losing a lot of money due to uncovered accident damages in the long run. If I am not appropriately insured in Mexico, anytime I can be involved in serious road accident. I don’t want to happen this to me. So I bought my Mexican auto insurance right away.